SINGAPORE - Oil prices slid on Wednesday as refinery shutdowns in the wake of Hurricane Harvey cut U.S. demand for crude, the most important feedstock for the petroleum industry. U.S. West Texas Intermediate crude futures CLc1 were at $46.35 per barrel at 0155 GMT, down 9 cents from their last close. Brent crude futures LCOc1 were down 7 cents, at $51.93 a barrel. The largest crude oil refinery in the United States, operated by Motiva Enterprises [MOTIV.UL], was shutting down on Tuesday night due to flooding from Harvey in its 603,000 barrel-per-day (bpd) Port Arthur plant in Texas, according to people familiar with operations. Preparing for more rain and floods, Total cut production to 53 percent of capacity at its 225,500 bpd Port Arthur refinery, market sources said. Hurricane Harvey hit the U.S. Gulf coast last Friday. 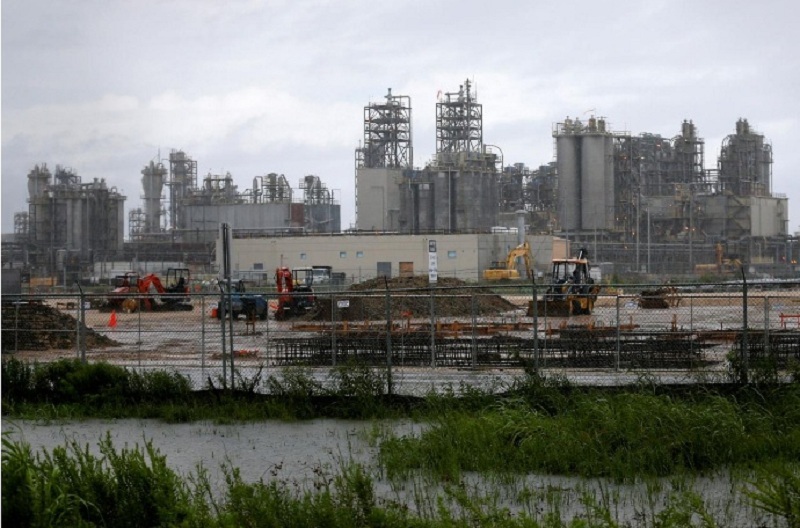 While it has been downgraded to a tropical storm, ongoing torrential rains have flooded numerous refineries in Texas and Louisiana, the heart of the American petroleum industry. At least 3.6 million bpd of refining capacity are offline in Texas and Louisiana, or nearly 20 percent of total U.S. capacity, based on company reports and Reuters estimates. Restarting plants even under the best conditions can take a week or more, refiners said. Fearing a gasoline supply crunch, U.S. gasoline prices RBc1 rose to a more than two year high of $1.84 per gallon early on Wednesday.